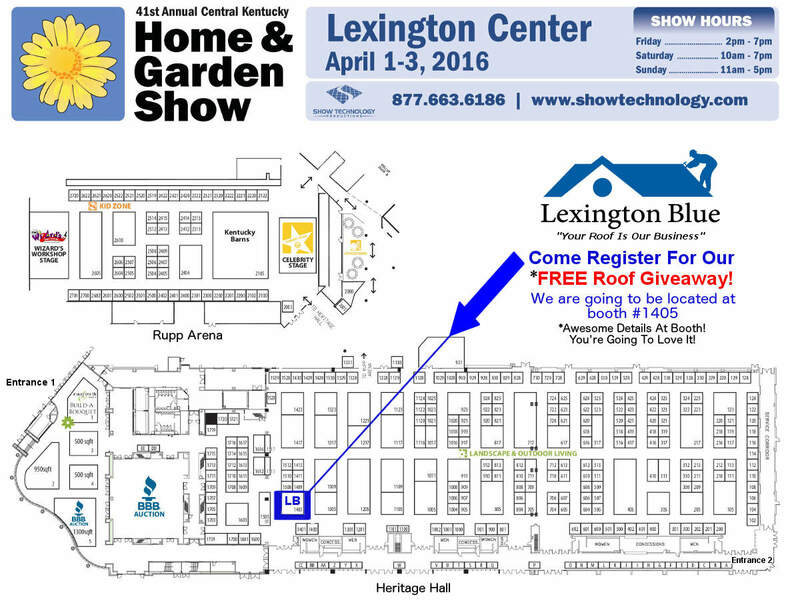 Home Garden Show Lexington, KY April 1-3 2016 - Win A Free Roof! Home » Blog » In The Community » Find Us At The Lexington Center’s Home & Garden Show In Lexington, KY On April 1-3, 2016 To Win A Free Roof! Find Us At The Lexington Center’s Home & Garden Show In Lexington, KY On April 1-3, 2016 To Win A Free Roof! Update: April 4, 2016 We’ve announced our grand prize winners here! Springtime in the Bluegrass is just around the corner and as the weather warms up, so does the interest of many homeowners looking for ideas to improve their home. You can find these ideas inside Rupp Arena and Heritage Hall at the Lexington Center’s Home & Garden Show in Lexington, KY on April 1-3, 2016. 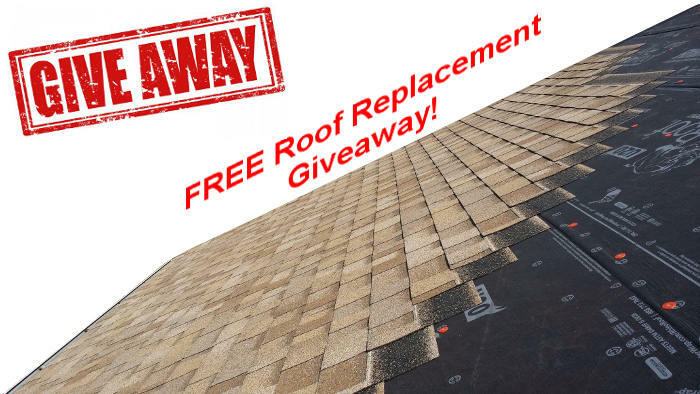 Details on our FREE roof giveaway here. Parking Map w/ availability & pricing near the Lexington Center & Rupp Arena. Tip… Here’s a map of FREE parking near Rupp Arena. Map of the home show floor plan & entrance areas. When it comes to trade shows of any type, there’s always something fun and entertaining to do! This year, at the home and garden show in Lexington, you’ll find fun activities, helpful seminars, giveaways and events the whole family will enjoy. Have a painting project in mind? 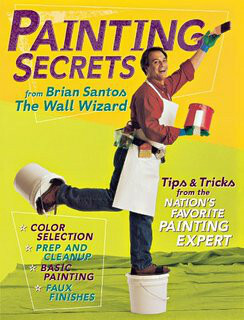 Brian Santos will be providing his highly recognized “Wizard Workshops”. You’ll learn everything from DIY painting tips & tricks to techniques and types of paint applications. Brian has toured nationally promoting his famous seminars. Want to be entertained? You will be! Want helpful advice? You’ll find it! Want to learn the best practices for painting your home? You’ll learn it! Learn more at Brian’s Website. You may also want to check out Brian’s Book. If you’re a fan of popular TV shows, then you’ll definitely want to check out Jeff Lewis, the star of Bravo’s Flipping Out. Ask and get answers to the art of flipping houses. Jeff will be participating in a Q & A, allowing you to seek and find the secrets of success. Read and follow his blog. Every year the Lexington, KY BBB puts on their silent auction at the home and garden show. This is a great opportunity to literally save hundreds and even thousands of dollars on select items and services. You’ll be able to bid on everything from gift certificates for local retailers to home improvement services offering complete renovations. Lexington Blue’s FREE Roof Giveaway! We’re Giving Away 1 Of The Following! 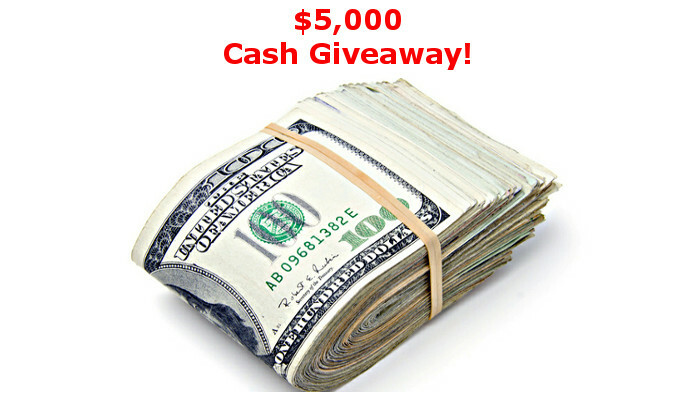 We will be giving away a FREE roof replacement or $5,000 in cash to one lucky homeowner at the show this year! At Lexington Blue, we have been providing our quality roof replacement and repair to Lexington residents since our inception. This year, you’ll have a chance to get it for free! Roof in great shape? Take the cash instead! Winner will be drawn for on Sunday April 3, 2016 beginning at @ 4:59 pm at our booth # 1405. You Do Not need to be present for the drawing on Sunday April 3, 2016 to win. We will be contacting the winner via phone, email or by USPS mail. The Explorium will be offering a variety of things for kids to do at the home and garden show in Lexington. They’ll have arts and craft sessions along with so much more that’s sure to be a memory maker for your kids! Morgan Brotherton, the Community Outreach Coordinator for Explorium of Lexington was kind enough to answer some questions we had about the event they are putting on. Q: What is the Explorium? 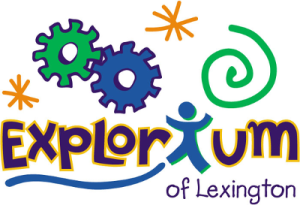 A: The Explorium of Lexington creates a fun and dynamic hands-on learning environment that inspires imagination and curiosity. We are the children’s museum in Lexington. Q: What type of activities will you be providing at the home show for children? A: Cat’s Kitchen Chemistry. Find out what happens when everyday kitchen ingredients combine! Conduct your own mini experiment. Q: Can the parent(s) participate or join in? A: Yes, parents are welcome to participate. Q: Is there an age limit to these activities? A: No, kids of all ages can join in on the fun! Q: Are there any costs for materials or for the children to participate? A: No, there will not be any cost associated for the children to have fun. If you’re looking to attend the event simply for entertainment, then you’re all set. On the other hand, if you’re attending with the purpose of getting new innovative ideas for remodeling or renovations, then here are some helpful tips to consider. Creating a backyard garden or landscape? Backyard ideas can include a variety of options such as furniture, patios, decks and more. You will probably have the chance to save big on some local vendors who either offer these services or sell these items. It’s a good idea to go in prepared with your available working space, so if you find the right deal, you’ll know it will fit! Measurements, (we’ve already covered that one), but don’t forget the entry doorway measurements! Take pictures of your entire area you plan to makeover. This may help aid in ideas provided by the contractor. Whether it’s a remodel, renovation or just an addition, these tips will help you prepare for a better home show experience. If you’ve been to the show in the past, you may be somewhat familiar with what to expect. However, this year, may offer more than you expect. Recently, we had the chance to interview Carolyn Brunelle, the regional account executive for Show Technology Productions, Inc. We asked Carolyn to share her insights and experience regarding the show for those who have yet to experience it. Q: How many years has the home and garden show been in production in Lexington? A: The Central KY Home and Garden Show began in 1975. We are currently celebrating our 41st year! We are the longest running Home and Garden show in KY.
Q: What can most attendees find at the home show? A: From the basement/crawlspace to the attic/roof and everything in between! From the fence to the pavement and everything in between. If it is in or around your home – we have it! Q: What are the most popular draws that attendees enjoy the most? A: First, our Lexington show is so full of local and state businesses. It’s a win for everyone. Lexington is steeped in tradition and recognizes the importance of purchasing locally. We appreciate and value local craftsmen, businesses of all kinds and want to support those folks. Secondly, the silent auction is VERY exciting and draws an enormous crowd. Q: How can a homeowner benefit from the show? A: Vendors at the Central Kentucky Home and Garden Show are there to succeed and grow their businesses. The goal is to gain additional customers and do that by offering outstanding customer service, quality goods and services at a price that is fair and reasonable. Many vendors offer ‘show specials’ or incentive pricing. I have literally watched my clients sell their show displays and deliver them on Monday following the show. Ultimately, relationships are established that result in recurring business in the future. Q: Can a non-homeowner benefit? A: Does a non-homeowner have needs within their home? Of course! Closets, linens, cookware, art, decorating needs, cleaning supplies, information on energy efficiency and so much more! Ultimately a non-homeowner will some day purchase. Educated consumers are the best best consumers! Again, it’s about establishing relationships. Q: What would attendees be surprised to find at the show? A: Ultimately that depends on the consumers definition of the Home and Garden Show. Several years ago we added the Arts, Gifts and Gourmet area in RUPP Arena. Many people were surprised to find high-end products of that nature in the show. Last year, we introduced the Kentucky Proud area. This was a huge hit! With so many people shifting their focus to homegrown, natural products – what better way to start than with local, real, and fresh! One of our features this year is the painting wizards who will demonstrate various painting techniques for the do-it-yourselfers. Q: What type of feedback do you get from the attendees? A: The first question I always hear is “when is next year’s show?“. If folks are putting it on their calendars a year in advance – you know they had a great time! And last year in particular – the response to the KY Proud area was so awesome – that we have more than doubled it’s size! Q: What type of preparation should a homeowner consider before attending the show? A: I would identify my current needs and look specifically to those. But also be open minded as you never know what you will encounter that will benefit you and your family’s home. Q: How do I know who will be exhibiting in the show? A: The Lexington Herald Leader will have an insert containing all the vendors. We will also have copies at the entrance for consumers to pick up. We’d like to personally thank Carolyn Brunelle for giving us her time and valued information. Whether you’re coming to register for our free roof giveaway or just to say hello, we look forward to seeing you at this year’s home and garden show in Lexington, KY!